Months after the arrival of her archive on campus, Cisneros stepped through the front doors of Alkek Library, looked around, and said, “So, this is my new home?” This was her first of several trips over the next 18 months to visit her papers. The archive officially opened for research in April 2017, and Cisneros was on hand for two days of events, including a symposium with scholars speaking on her work and a reading by Cisneros in front of a huge crowd. She also toured a major exhibit of her work in The Wittliff titled “Sandra Cisneros: A House of Her Own” and signed books and chatted with hundreds of fans. Audrey Johnston, Salzmann worked through boxes of writings, photographs, diaries, correspondence, publicity material, business records, and other records from Cisneros’ distinguished career. The Wittliff Collections has a long tradition of providing hands-on archival experience for students. In addition to regular student workers, the archive staff frequently takes on interns and volunteers who are interested in exploring careers in the field. Johnston said working with the Cisneros archive had a big impact on her. Students in professor Geneva Gano’s English 3343 course were the first to conduct research using the papers. Over several weeks, 25 students in Gano’s “The Work and Career of Sandra Cisneros” course spent time in The Wittliff’s reading room looking through boxes from the archive. The students’ research topics varied, ranging from Cisneros’ early years in Chicago to her time in San Antonio, and from Cisneros as feminist icon to her role in social justice and activism. Several students from the class presented their research at the April 2017 symposium, which Gano organized. 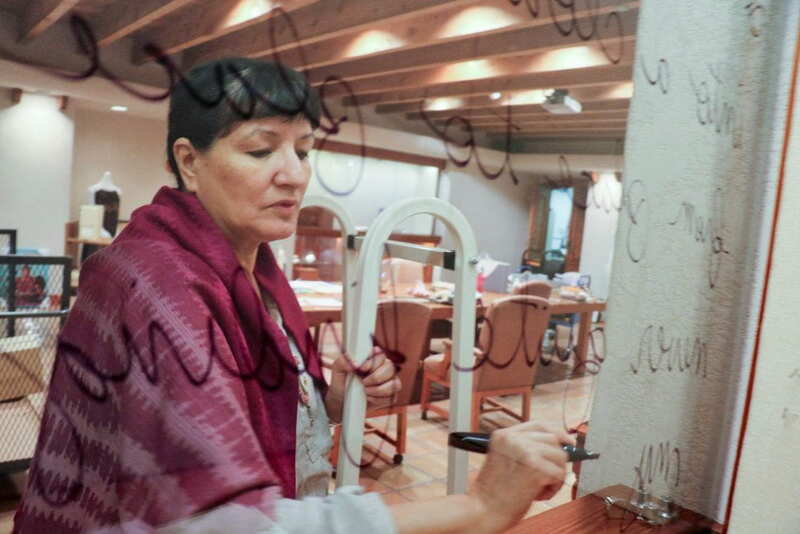 The Sandra Cisneros archive is an important acquisition for The Wittliff – raising the profile of University Libraries and supporting scholarship and research at Texas State. The work Wittliff staff did to preserve, organize, and promote Cisneros’ archive is done for every incoming collection and represents a core part of The Wittliff’s mission. The Wittliff Collections is a special collection of Texas State University Libraries and is located on the seventh floor of Alkek Library on the San Marcos campus.